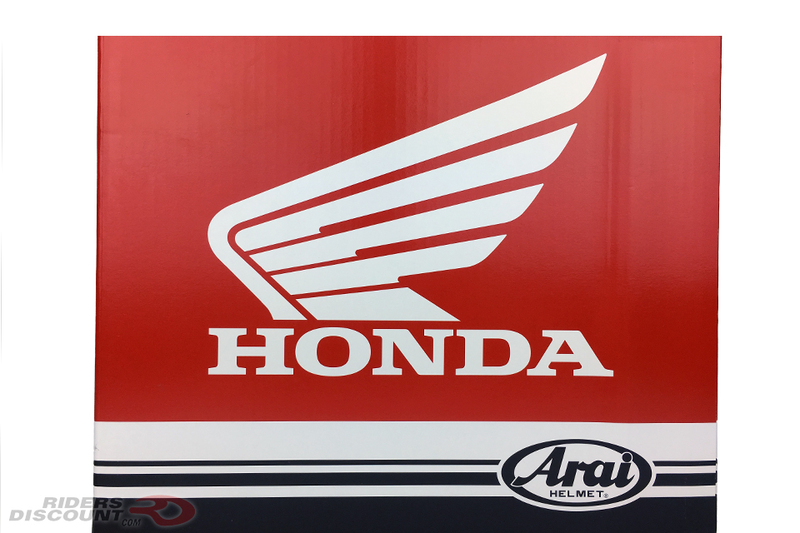 Arai has long been known for their superior quality motorcycle helmets, and the Corsair-V has been a racing staple for many riders since its release. 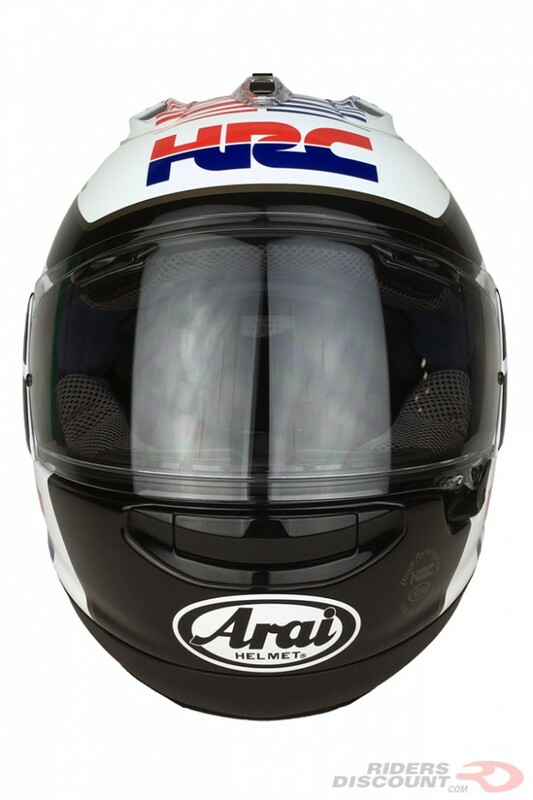 Arai has redesigned the popular Corsair-V, and announced its upgraded version as the Arai Corsair-X. 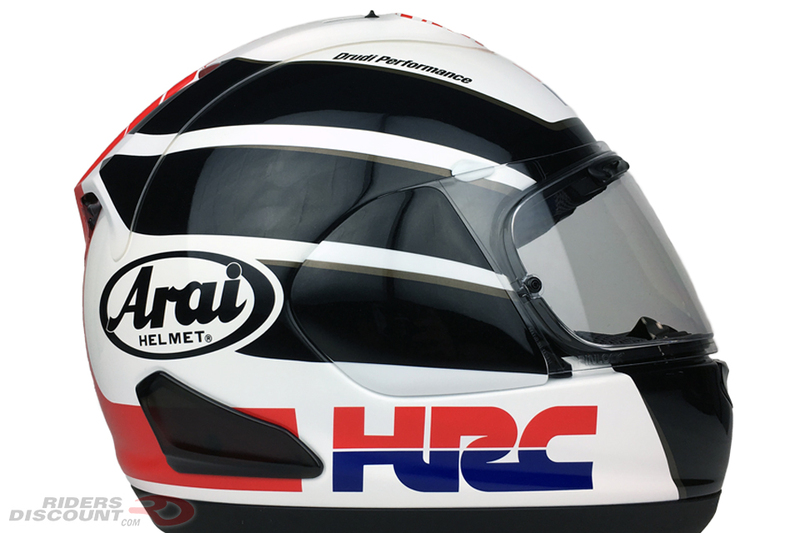 Now it’s available in a Limited Edition HRC graphic. The new PB SNC2 Shell of the Corsair-X is much lighter. In fact, it is 30% lighter than the Corsair-V. 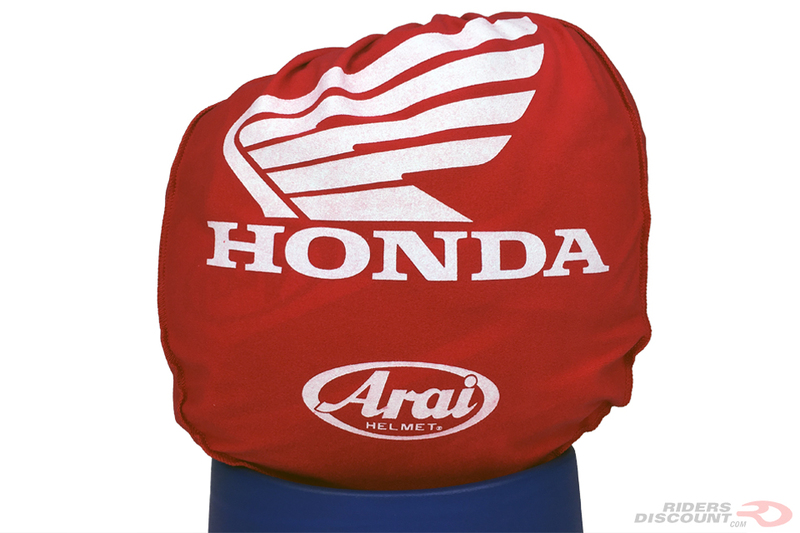 This is greatly attributed to the synthetic fibers and special resin formula that Arai has developed. 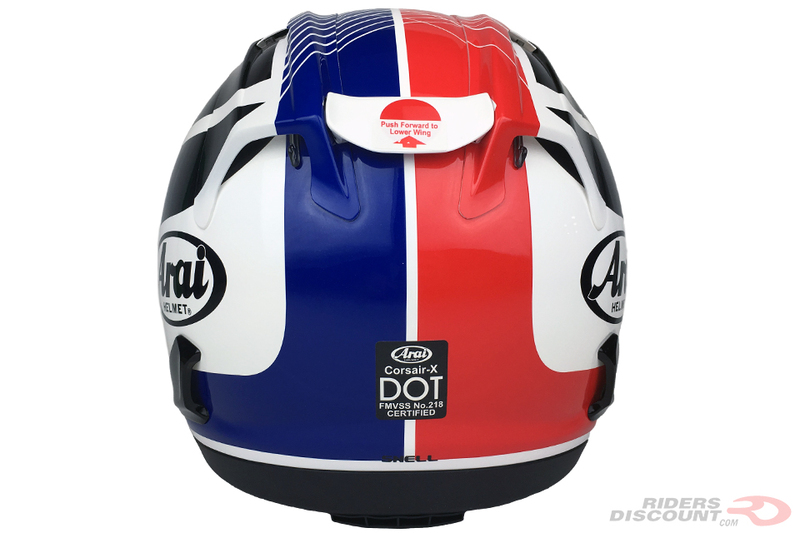 Arai has not abandoned their special R75 shell shape, however. 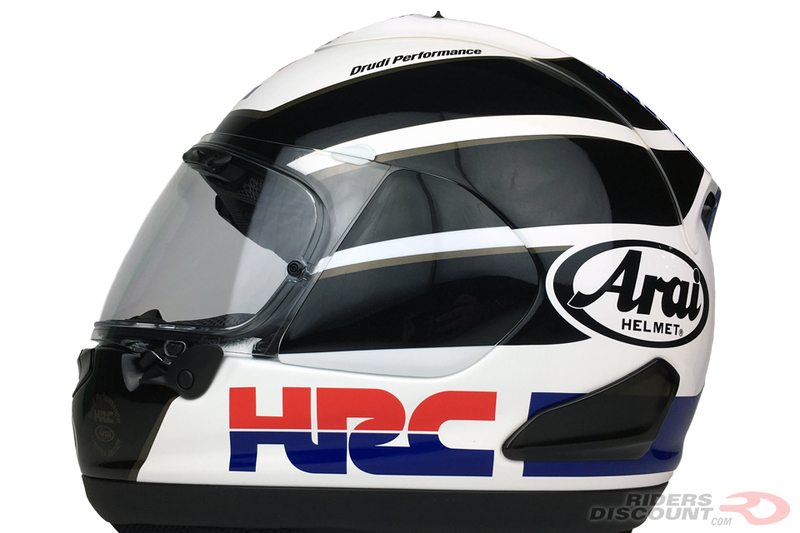 A lightweight, aerodynamic, and protective helmet is very sought after by racers, and Arai certainly has delivered. 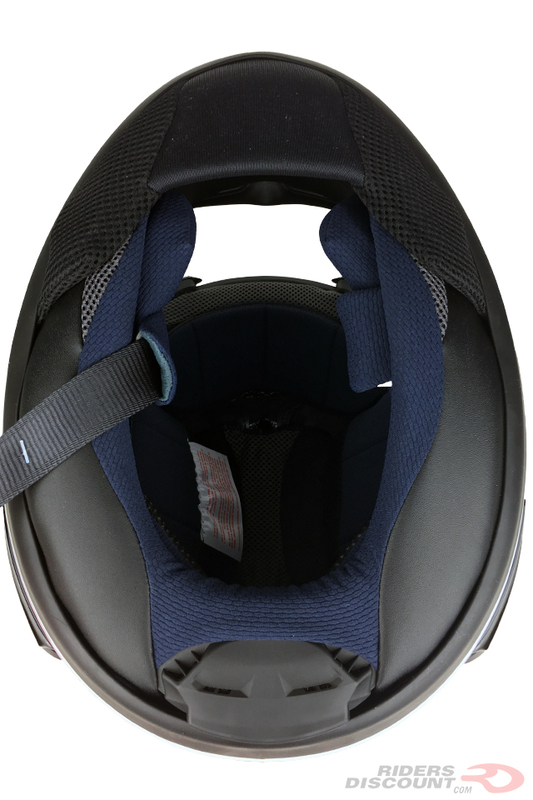 One of the biggest changes with this helmet is the upgraded ventilation system. The top/center vent allows around 11% more airflow than the Corsair-V did. All of the vents on the new Corsair-X are easier to adjust with gloves, as well as more durable and longer. Another significant change is the new “Variable Axis System” (VAS). The VAS has a variable axis (moving pivot point) allowing the shield to open and close, even with the 24mm lower shield mount position. The interior of the Corsair-X not only provides protection and comfort, but also does a great job keeping you cool. The plush lining in combination with the ventilation system wicks sweat away and helps keep you a comfortable temperature. The interior is made of Eco Pure material, which helps maintain neutral acidity levels close to human skin and antibacterial consumption. 5mm peel away ear pockets on the Corsair-X allow riders room for a communication system. 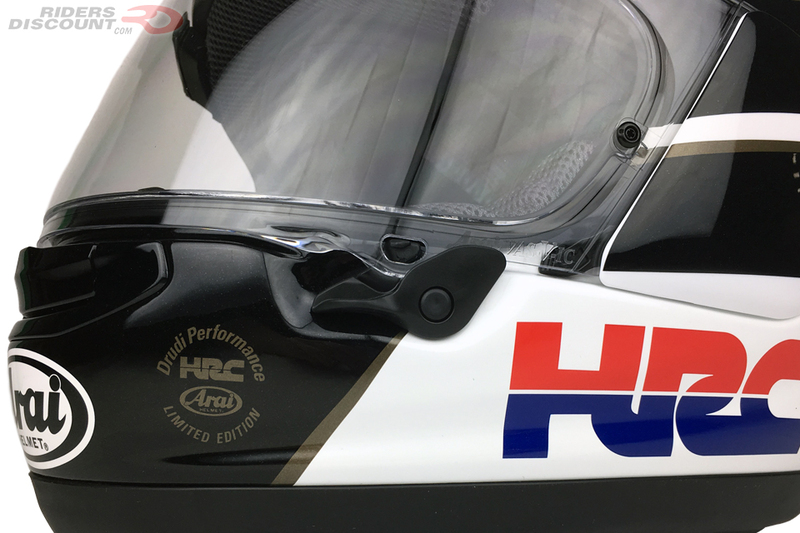 Per customers’ requests, Arai lowered the chin bar by 3mm for extra comfort (great for riders that use a microphone) and upgraded the chin curtain and neck roll to help block out unwanted noise and help improve ventilation. The Corsair-X comes with a VAS V MV Shield, which is a clear anti-fog Pinlock shield. There are several tinted shield options available for purchase as well. 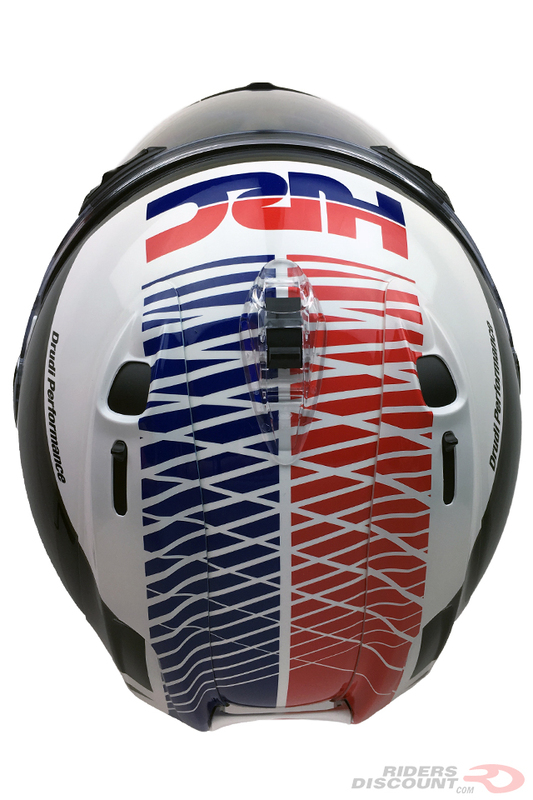 The Arai Corsair-X is both 2015 Snell and DOT certified. To learn more about this helmet and the entire Arai Corsair line, visit our Ultimate Guide to the Arai Corsair. For a step by step guide to removing the Corsair-X face shield, click here.